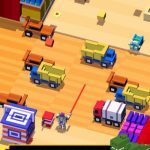 A few weeks ago, we shared with you some tips and tricks for Disney Crossy Road, and also showed you how to unlock all the characters who were available at that time. The game, in case you’re wondering if you could get it for your Samsung or LG phone, is now available on Android, aside from iOS. 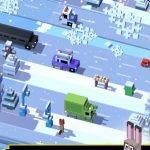 And this game, of course, comes to us from Disney and Hipster Whale, the latter of which brought us the original Crossy Road. The mechanics are very similar, though this time, you’ll be making your way through eight-bit versions of classic Disney locations, including the Pride Lands of Africa, San Fransokyo, and a lot more. And you’ll be doing that while listening to chiptune versions of iconic Disney songs, including the likes of “I Just Can’t Wait to Be King” from The Lion King. A good part of this game’s charm comes from the ability to collect new characters. 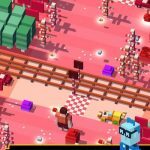 Sure, they’ll play like any other character in the game, but that’s always been a key selling point in the Crossy Road series. 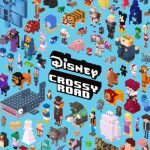 So having said that, our new Disney Crossy Road strategy guide will focus on how to unlock the new characters added through the recent Alice Through the Looking Glass update. And as you’ll find out, not all are from that upcoming Disney movie, but rather from some previous ones you probably know or have watched. Play as Ralph and collect 50 cherries – this can be done in one run, or cumulatively over several runs. You’ll unlock Candy Corn after you die following the 50th cherry collected. Play the game as Dave, and play until you’re able to find Bing Bong. Catch Bing Bong, die, and unlock Frank. Play as Fred, and jump at least 250 times in a round. After that, you’re free to kill him and return to the main menu, where you’ll see his dad unlocked as a playable character. Unlock all the Wonderland Heroes characters – these include Alice, the Doormouse, Absolem, the March Hare, Tweedle Dee, Tweedle Dum, and the Mad Hatter. Once all of them are unlocked, die and unlock Humpty Dumpty. Use the Big Hero 6 theme and play as Baymax. Once you’ve selected him, collect 50 batteries – this can be done in one run, or in several. The next time you die after collecting 50, you’ll unlock Pig Hero 6. Hipster Whale had previously teased the addition of The Lion King’s main antagonist, so it’s no surprise to see Scar in here. Unlock Mufasa, play as him and die by charging into a wildebeest stampede. Doing so will unlock Scar immediately. Unlock everyone in the Born to Serve Set – that would be Butler, Maid, Frock Deliveryman, Imaginary Boyfriend, and Rafiki. Once you die (using any character), you’ll unlock Vegetable Servant. Play the game as the Green Army Man (Toy Story), and jump into the magnifying glass as it shines down. That will kill you by melting you, and will unlock the Vegetable Soldier. Unlock Time, play as Time, and collect 50 Roman numerals. Fortunately for you, you don’t need to collect them in order, nor do you have to collect them in one run alone; you can collect them over several. Once you’ve collected at least 50, you’ll be able to unlock Wilkins. Play as Rapunzel in Tangled, and get hit by five horses. Once you’ve been hit by the fifth, you can unlock Wrangled. As you may have guessed, you’ll have to play as Ralph in Wreck it Ralph. After selecting him, destroy 50 objects, either over a span of one game or multiple games. Next time you die, you’ll unlock Wreck it Rhino. Play as Hiro Hamada and jump 50 times in a quick span of time – that’s 15 seconds, in case you’re wondering. Die and return to the main menu to unlock Yama.